Top doctors at NHS Grampian have warned lives will be put at risk if the Scottish Government U-turns on plans to build a life-saving trauma centre in Aberdeen. The SNP administration announced to great fanfare plans to build the flagship facility in the Granite City – but have since stalled on the proposal. 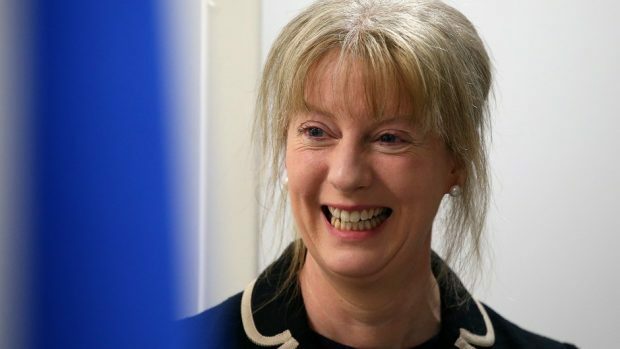 Health Secretary Shona Robison claims the plans have been put on hold because senior clinicians have questioned whether the centre in Aberdeen would be viable. But now 50 specialists at NHS Grampian have hit out at Ms Robison, claiming she risks leaving the north-east with a “second-class service” putting life-saving treatment “in jeopardy”. In an open letter, consultant surgeon Simon Barker said doctors were “deeply worried” that building the trauma centres only in Edinburgh and Glasgow “will leave the rest of Scotland out in the cold”. Ms Robison said “no final decisions” on the number of trauma centres have been made. Dr Barker said: “The plans for two centres in Edinburgh and Glasgow would appear to leave 25% of the Scottish population, including the people of Grampian, with a second-class service. “Our resources and ability to recruit staff to care properly for seriously injured patients will be in jeopardy. Last week the Press and Journal exclusively revealed that ministers chose not to wait for the outcome of a study assessing the need for four trauma centres in Scotland before committing to building one in the Granite City by the end of this year. Scottish Labour’s Lewis Macdonald, said: “As the consultants and surgeons from ARI point out in their letter, not only would this leave 25% of the country without the access they need to a major trauma centre, but it would seriously affect NHS Grampian’s ability to recruit and retain staff. The Scottish Liberal Democrat’s Alison McInnes added: “The SNP have centralised the life out of Scotland, hoarding powers and services in Edinburgh and Glasgow. Health Secretary Shona Robison said: “These claims are simply not true. No final decisions about the number of trauma centres have been made. “All options remain on the table and I am today writing to the National Planning Forum to give reassurances to clinicians on this.